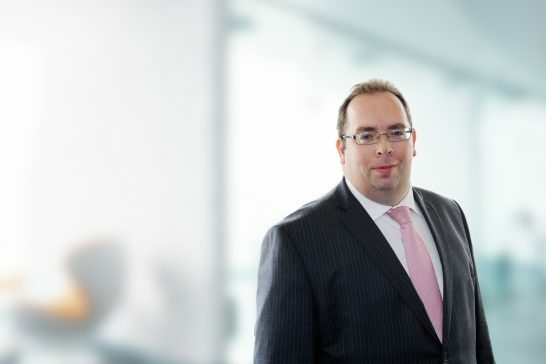 John Harris specialises in commercial litigation with an emphasis on financial services, investment funds, insolvency and trusts disputes. He acts for financial institutions, insolvency practitioners, stakeholders and professionals. John also acts on general commercial disputes and has appeared at all levels of the English and Cayman Islands court systems, including the Supreme Court. 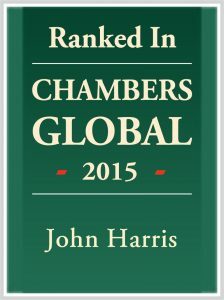 John has been recommended by Chambers Global 2014 and 2018 in Dispute Resolution. Chambers noted that he is singled out by clients who are “big fans of his work” and that “he makes people comfortable and inspires confidence in the work that [they are] doing.” Clients and peers interviewed by the Legal 500 directory describe John Harris as “knowledgeable, reassuring and pragmatic”. John earned a B.A. with honours in Law at Durham University in 1992 and a Post Graduate Diploma in Legal Practice with commendation at York College of Law in 1994. In 2010 John joined Higgs & Johnson and was admitted to the Cayman Bar. …big fans of his work- he makes people comfortable and inspires confidence in the work that you’re doing.